This is a guest post by Liz of Open Mouth Gets Fed who has come to share her knowledge with the Wealth Noir Community. If you have been paying even a modicum of attention to political news, you may have noticed that healthcare is a thing right now. So are taxes (especially since the Senate just passed tax reform legislation in the wee hours of the night). Many people would say that the only things of which we are assured in this life are death and taxes. However, I have found the latter is actually quite negotiable by using two simple tools to build wealth without giving a cent to the IRS: a high-deductible health plan and it’s trusty companion, a Health Savings Account. A high-deductible health plan (HDHP) is defined as a plan with a higher annual deductible than typical health plans. For 2017, the minimum qualifying deductible is $1,300 for an individual plan and $2,600 for a family plan. Because high-deductible health plans require the insured person to cover more of their healthcare expenses before benefits begin, the premiums tend to be lower than comparable plans with lower deductibles. Be enrolled in a high-deductible health plan that you either purchase on your own or through your employer. Have no other health coverage (except coverage allowed by the IRS. See page 4 of IRS Publication 969). Not be enrolled in Medicare. And can’t be claimed as a dependent on someone else’s return. For 2017 the maximum contribution is $3,400 for an individual plan and $6,750 for a family plan. Those amounts will increase to $3,450 and $6,900 in 2018. Is an HDHP for You? If you meet these requirements you may want to consider enrolling in a high-deductible health plan if you have the option. While you are young, you (and your family) are likely to be in good health and low consumers of healthcare. In this case, you can save a good deal of money on premiums with a high-deductible plan. I was introduced to HDHPs at my last employer. The PPO option was a high-deductible plan with no monthly premium. The self-only annual deductible was $1500 for in-network providers, then coverage kicked in at anywhere from 70-90% for benefits that included acupuncture, emergency room visits, dermatology, and more, up to a $1000 out-of-pocket maximum, after which all in-network benefits were covered at 100%. Like many HDHPs, it also provided routine preventative care without a deductible or with one less than the annual minimum. That means my annual wellness exams, childhood and adult immunizations, and screening services were mostly or even fully covered. When l did need additional care I paid for it with the tax-exempt funds I contributed to my health savings account. Admittedly, the HDHP provided through my employer was very rich and heavily subsidized. In 2017 I used over $20,000 in benefits while paying a fraction of the cost with tax-free dollars. I highly recommend digging into your available healthcare options to see the premium cost, deductible amount, out-of-pocket maximum, and most importantly the coverage benefits. Armed with this information you can then assess it against your health care usage, disposable income, and ability to save for higher medical expenses. This article on Nerd Wallet gives a good overview of determining if a high-deductible plan is right for you. Think an HDHP could be a good look for you and yours but your employer doesn’t offer coverage? Check out insurance company websites, Healthcare.gov or an online broker like EHealth. These sights will allow you to compare plans and find the one that is right for you. Do you expect to have significant healthcare costs as you age? That weekly phone call with mom and dad talking about their fiftyleven doctor’s appointments could be a crystal ball for your future health. Investing as much as you can as early as you can is a good bet for securing your future healthcare needs. The Employee Benefit Research Institute found that it would take $124,000-$152,000 for an individual to have a 90% chance of having enough to cover median drug expenses through retirement. An HSA lets you save now for inevitably becoming your parents in thirty years. Contributions never expire and can be used for any expenses incurred since the account’s inception. More people are starting to use HSAs as retirement savings accounts. Many HSA custodians offer the option to invest contributions above a minimum cash balance of $1000. Take the example of a healthy couple, let’s call them Maxine and Kyle. M & K enroll in a high-deductible health plan and deposit $6750 into an HSA annually for 30 years. Maxine and Kyle spend $2000 annually on qualified medical expenses then elect to invest the remaining eligible balance in mutual funds. At a 6% annual return* this investment will grow to $419,596 over 30 years. If they paid all of their medical expenses out of pocket and invested the entire contribution every year they would have $598,686. At age 65 this money can be withdrawn penalty-free (yet taxed as ordinary income) for any purpose or tax-free for qualified medical expenditures. Which brings me to another point. Healthcare Savings Accounts are portable. What does that mean? It means that your account stays with you if you should leave your employer or exit the workforce completely. For most millennials, this is a high probability scenario. Gone are the days when the majority of workers started and finished a 30+ year career with the same employer. According to 2012 Bureau of Labor Statistics, the average worker today stays in a job for 4.4 years. Younger millennial workers peace out after less than three years. I shall use myself as an example. When I started a new job in 2015 I enrolled in the high-deductible health plan, thus receiving access to an HSA. Last month I was laid off and no longer covered under my former employer’s insurance plan. However, even though my employer coverage ended my HSA is still mine. The custodian changed from my insurance company to an approved non-bank trustee (here is the most recent approved list), to which I now submit claims against the remaining balance for future expenses. If I enroll in another high-deductible health plan I can once again contribute to this HSA. 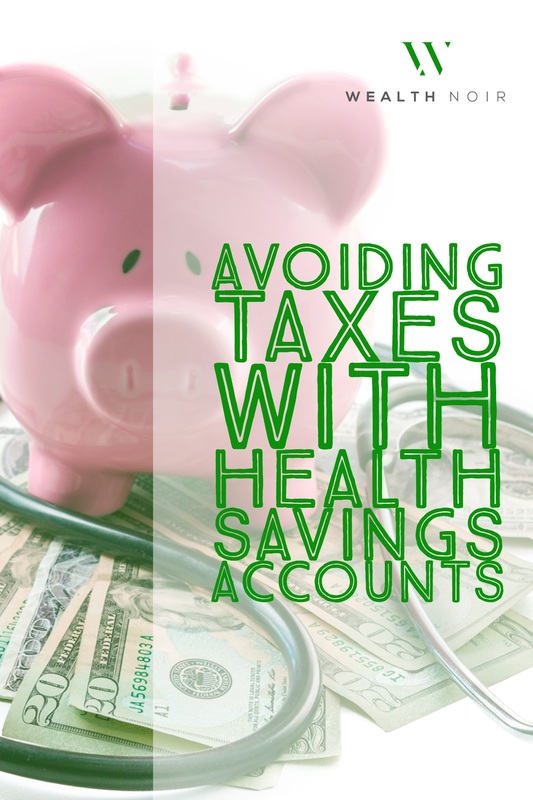 The best thing about a health savings account is that it is a triple tax-advantaged shelter for your money, helpful in avoiding taxes. It goes in before taxes are paid. The growth is tax-free, and distributions aren’t taxed as long as the money is used for qualified healthcare costs. Unlike IRAs, there are no contribution limits or phase-outs based on income. As long as you are enrolled in an HDHP you can earn all the money in the world and still make tax-free contributions to an HSA up to age 65. For those of us not making all the money in the world, maxing the HSA contribution can save thousands in taxes and even reduce our salaries low enough to once again take advantage of income-based tax deductions (if they still exist after this year). Unlike a Flexible Spending Account, the HSA’s more limited cousin, you can only withdraw what’s in the account at any given time. I learned this last year when I wanted to reimburse myself for $500 of dental work but could not do so because my year to date contributions were only $200 at that time. Although I had set my contribution for $1250 for the year, (deducted equally from each pay period), I could not use what had yet to be contributed. Make sure you have a healthy emergency fund (3-6 months of living expenses) to cover costs while your health savings account fills up. The IRS maximums include employer contributions. My former employer contributed $1000 annually to employee HSAs. This meant that I could only contribute another $2400 to the account each year. Salary-reducing contributions through a workplace cafeteria plan are considered employer contributions and are already excluded from your gross income. Therefore, you cannot deduct these contributions on your tax return lest you want to be audited. Spoiler Alert: You will lose. 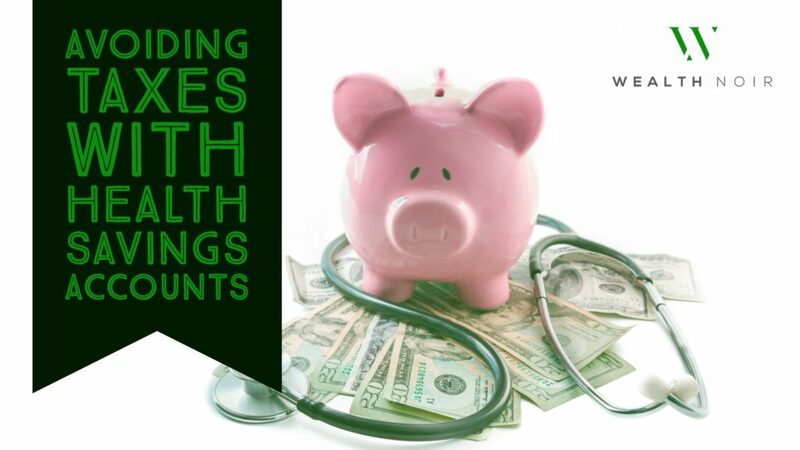 Setting up your health savings account for investment does not happen automatically. Doing nothing leaves your contributions in a regular savings account bearing earth shattering interest of .5% APR or less annually. In order to achieve the type of growth to create a significant nest egg, you have to go into your account and transfer eligible balances into investment vehicles like mutual funds. You also must choose the funds in which you want to invest. Bank of America has a pretty good video on how to do it with accounts they service, but the information is general enough that it should apply to most custodians. HSAs are not to be raided in lean times. Withdrawing money before age 65 for anything other than qualified medical expenses will get you a 20% penalty on top of the amount withdrawn being taxed as ordinary income at your current marginal tax rate. At age 65, disbursements for non-medical expenses are penalty free but still incur income tax. If all of this has your wheels turning, a chat with your HR rep is a good next step. If you are still in your open enrollment period, now is a great time to get all of the information you need to make a decision on whether a high-deductible plan is right for you. Find out what plans are offered, coverage levels for services you need now and could want in the near future, and your access to contribute to a Health Savings Account. Already enrolled in a high-deductible plan? Great! Consider increasing your HSA contributions. Many plans allow you to make lump sum contributions above your original commitment (if not at the max) throughout the year. Check your benefits guide for more information. Also, take a look at these 10 Affordable Options to Buy Healthcare When You’re Self Employed for creative ways to gain access to an HSA. And like with most things in life, it doesn’t hurt to inquire within your personal and professional networks for recommendations. *The 6% return is for illustration only. Actual returns will vary. Investing in mutual funds involves risk, including possible loss of capital. Liz is a personal finance nerd who loves to talk all things money-related. She firmly believes that it’s not about how much you make, but rather how much you keep, and is always on the lookout for ways to hold on to more of what’s earned. Liz lives in Chicago, but maintains that deep dish is NOT real pizza. You can find more of her money (and life) thoughts at her blog Open Mouths Get Fed. Super interesting! I missed my chance to enroll in a plan with an HSA but this will be handy for next year. Glad you found the information helpful. Who knows maybe an unexpected life event will let you make changes sooner rather than later. Thanks for reading and leaving a comment.